pumpkin is one of the fruits that easy to get, inexpensive and durable. 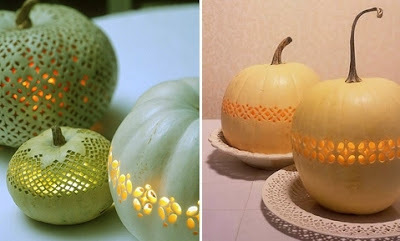 besides we can eat, as long as this pumpkin is widely used as a symbol or decoration at Hellowen party with scary shapes. 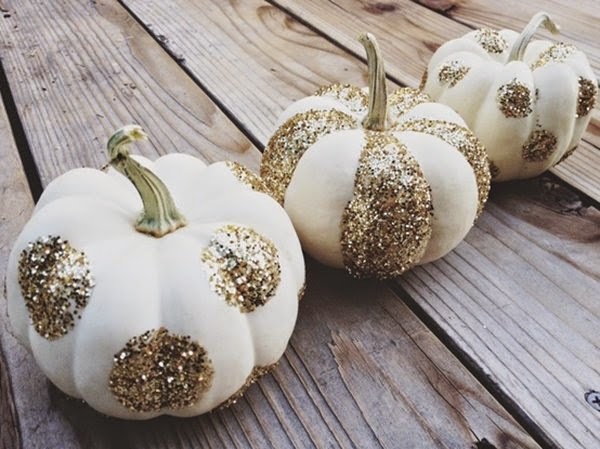 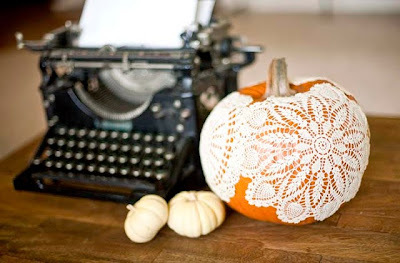 at this time we can also uses pumpkin as an elegant decoration or centerpiece, you can carve, drill, paint, glitered, or take some accecories such as a ribbon, beads, lace or other. 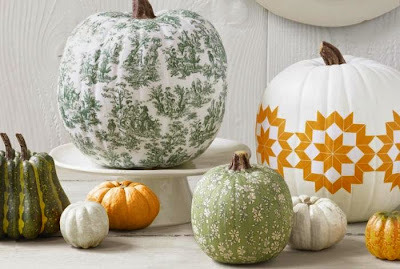 if you have no idea for pumpkin pattern, look around your home, a pretty wallpaper pattern or the print on a flowered dress might look just a flattering on your pumpkin. 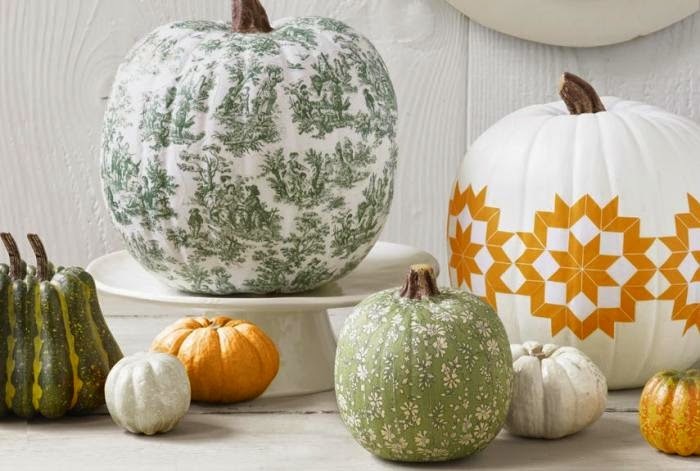 photocopy the patterns and use it as a guide when you carve, drill or paint the pumpkin.